ServiceMaster Clean of York provides specialized cleaning requirements to the Etobicoke and west Toronto marketplace. For over fifty years we have earned a reputation for providing exceptional customer service; which is due both to our regular onsite inspections and post service follow up. 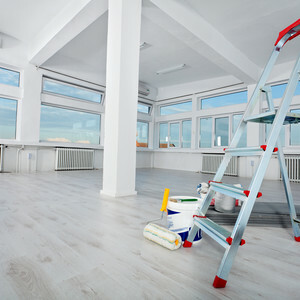 We offer dependable and reliable commercial cleaning services to corporate clients, industrial buildings, senior’s residences, condominiums, and healthcare facilities. Our technicians receive ongoing training in the latest cleaning techniques so our customers receive the best possible results at the lowest possible cost. In addition to technical training our staff is fully insured, bonded, trained in health and safety and cleared with a criminal background check. ServiceMaster Clean is continually developing new environmentally friendly cleaning products in our research and development laboratories located at our corporate headquarters. These products have proven to improve indoor air quality and are Green Seal approved. ServiceMaster Clean of York is an IICRC Certified Cleaning Company. We work closely with major carpet mills to ensure the appropriate method of carpet cleaning is implemented, which is consistent with each manufacturer’s specific requirements. These measures ensure the customer experience goes well beyond just the quality of cleaning. Contact us for more information on how ServiceMaster Clean of York can improve the appearance and health of your facility.